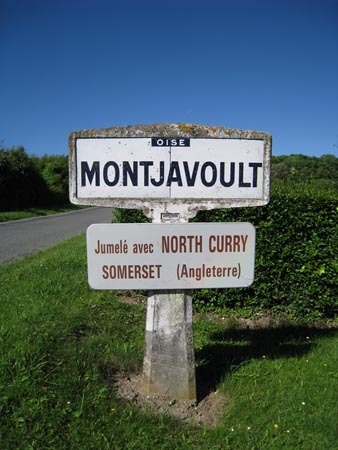 Montjavoult is a small village of 500 residents. 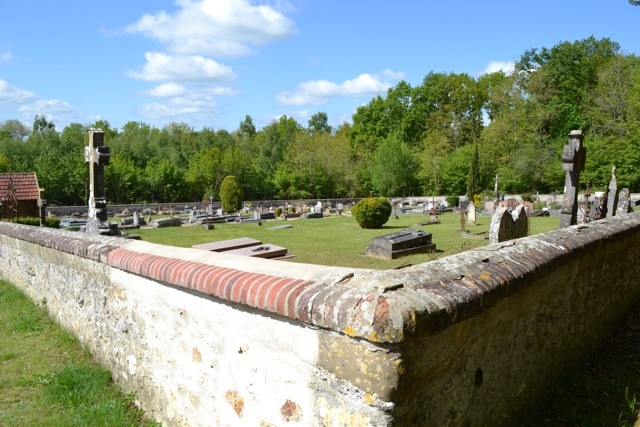 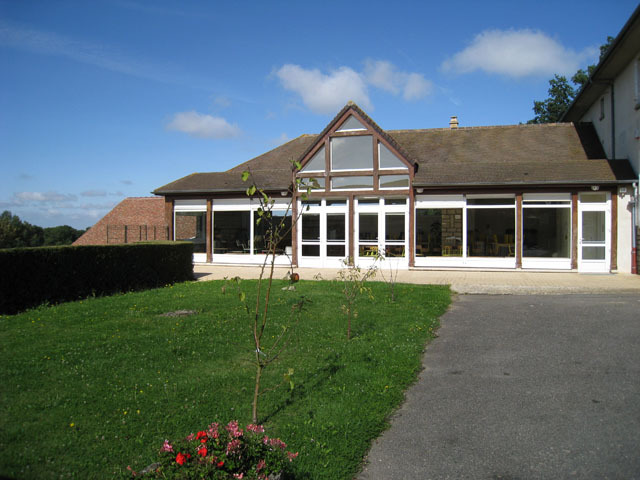 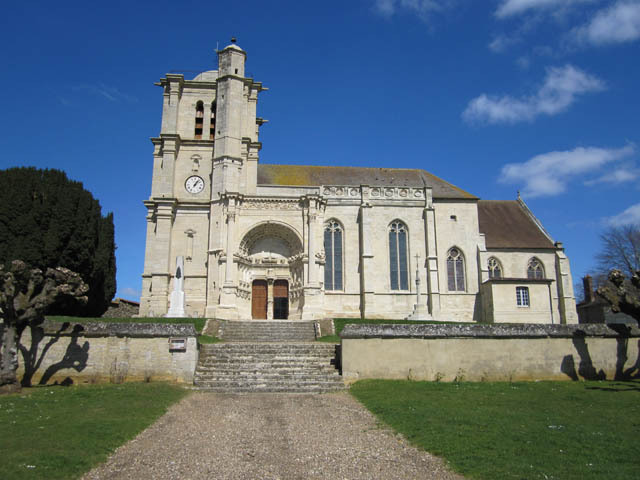 It's located in the Picardie region, more specifically in the Oise department. 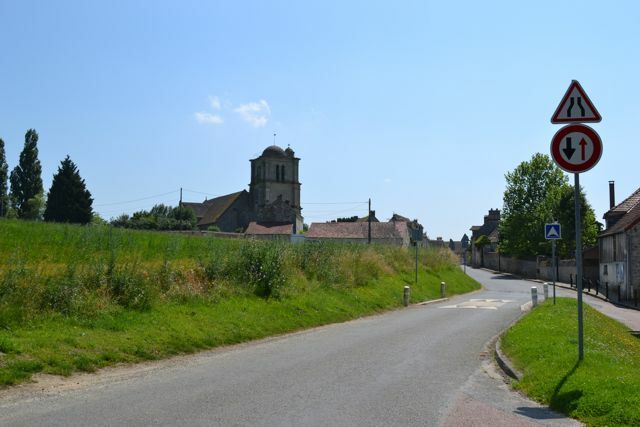 The town is in northern France and 72km from Paris. 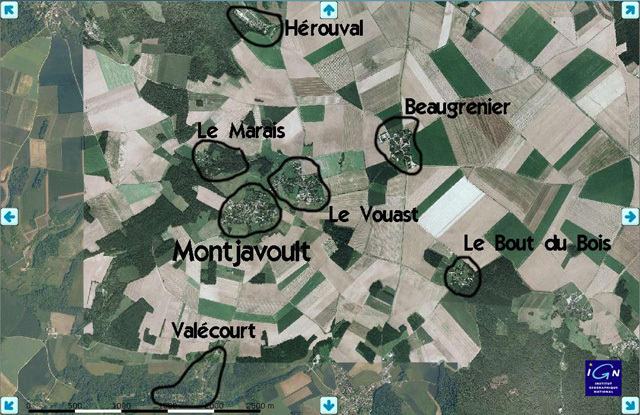 Montjavoult sits 207m above sea level and is a 1600 hectares site (1673 to be accurate). 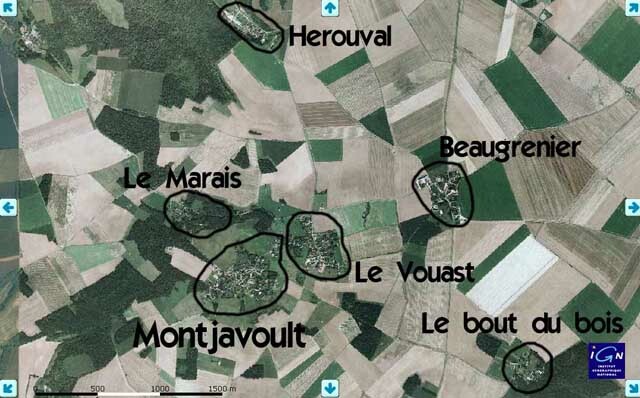 It's composed of 6 hamlets, Beaugrenier, Hérouval, Le Bout du Bois, Le Marais, Le Vouast, Valécourt. 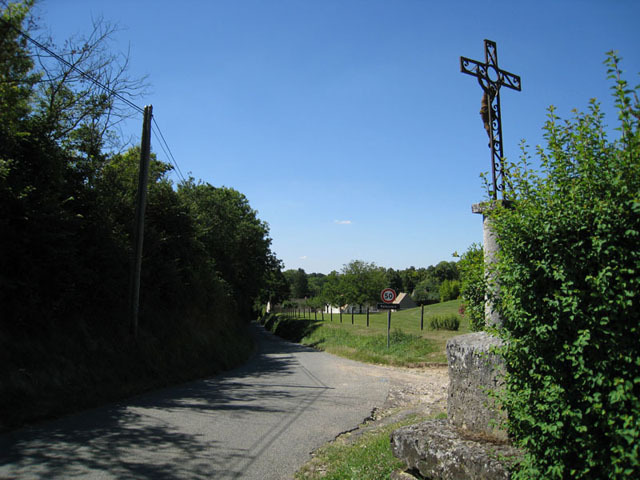 Montjavoult was a prehistoric landmark the Romans used to glorify Jupiter at this location (The Mons Jovis). 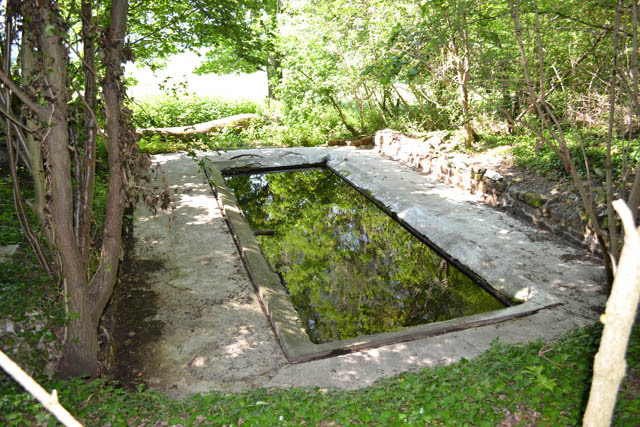 We can also find an ancient Celtic landmark where the druid gathered. 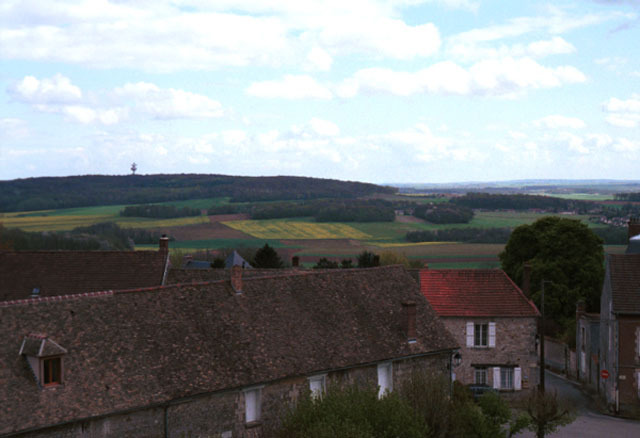 Several movie scenes were shot in Montjavoult. 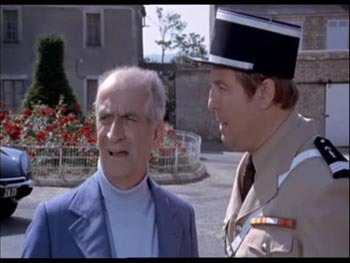 One of the most famous was in "les aventures de Rabbi Jacob". 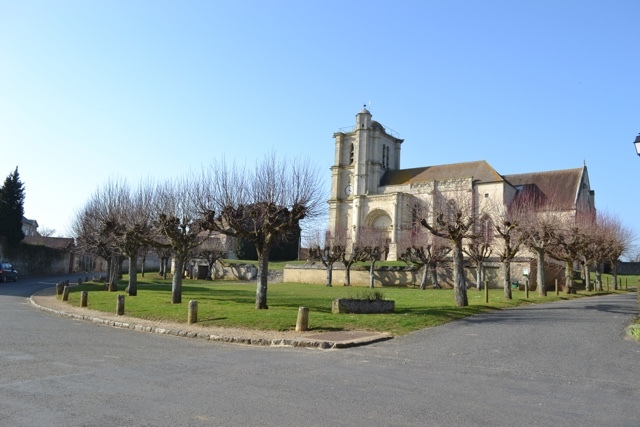 You can also find some scenes rolled around the village, like in "Pink Panther" in Magny en Vexin or "Danse avec lui" in Chaumont en Vexin. 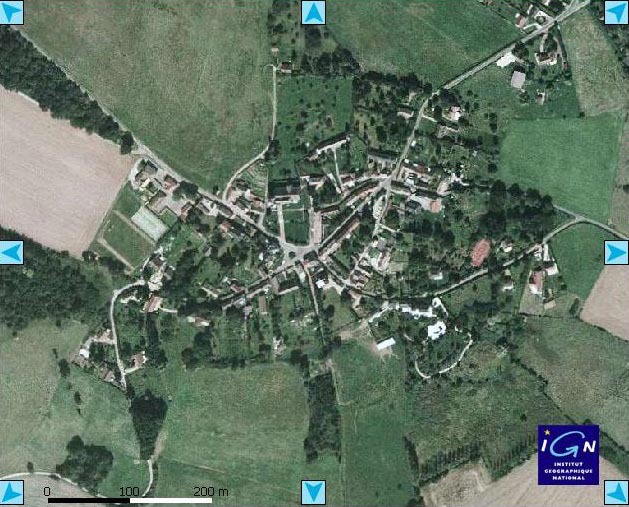 We can also see the village and its surroundings in the movie "Les Cracks" made by Alex Joffé in 1967 (left film clip). 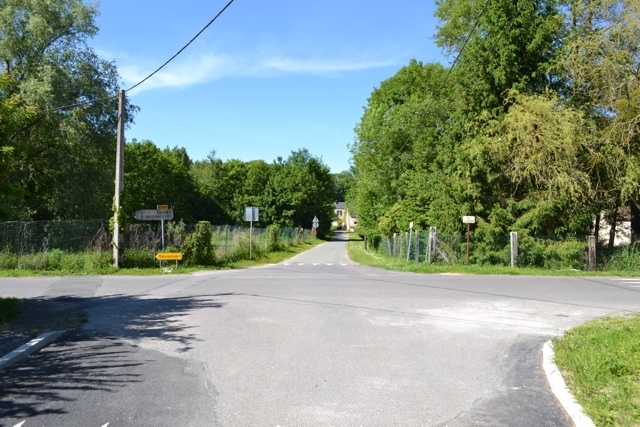 Three Montjavoult locals performed customers in the film "Fortunat"(right film clip). 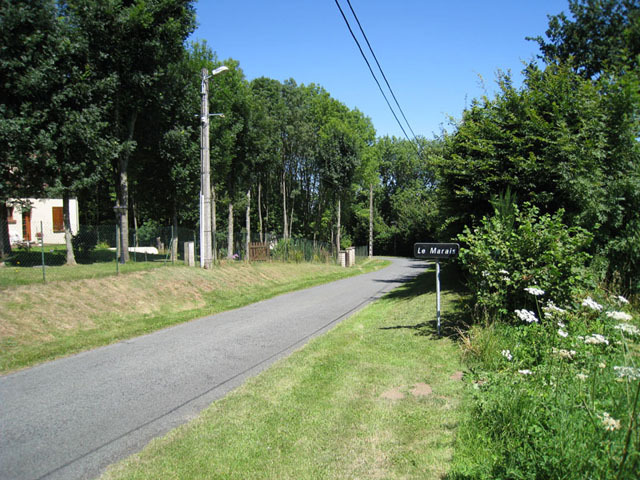 Enter by the D6E from the hamlet "Le Marais". 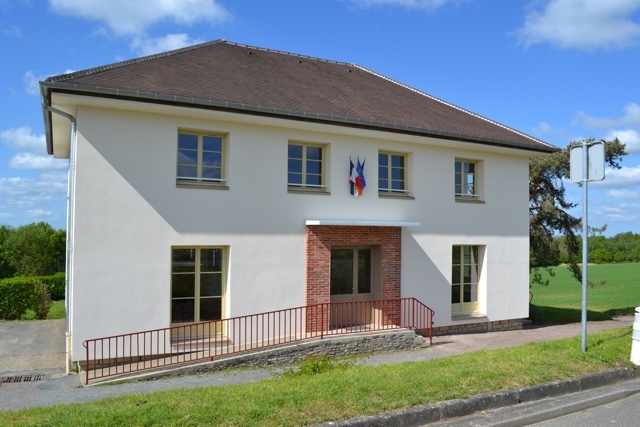 Picture taken in front of the City Hall. 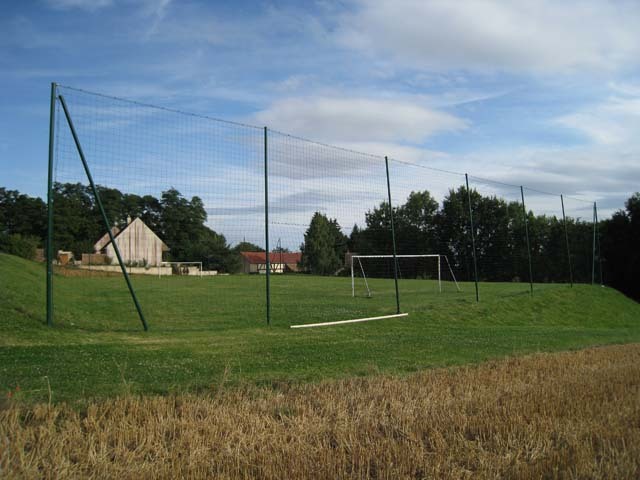 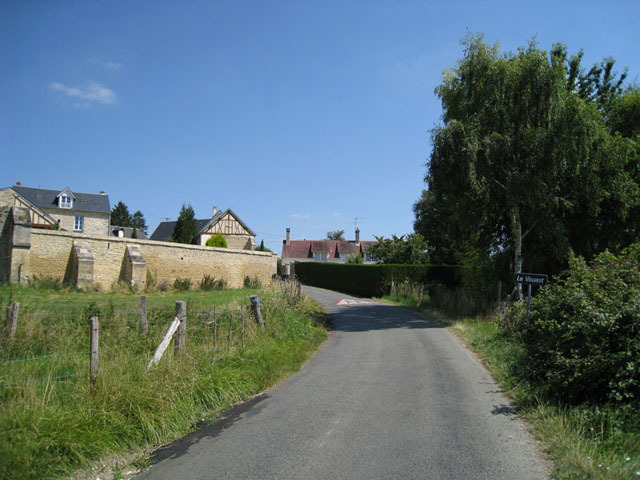 from the CD "Commune et Ville de France Montjavoult"
This hamlet is located two miles and a half away from the village center. 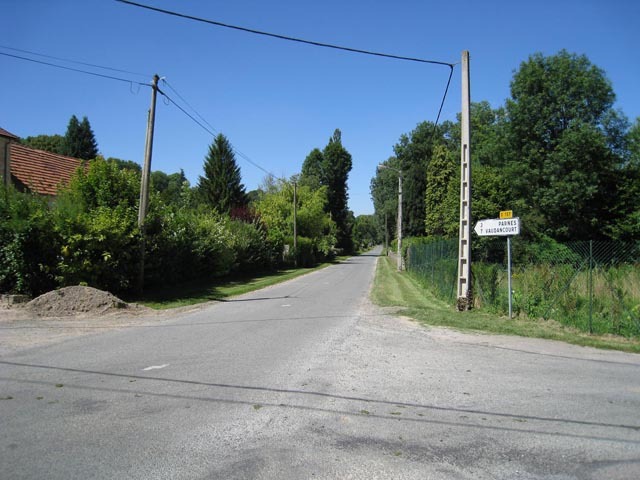 It is crossed through by a secondary axis (road D983). 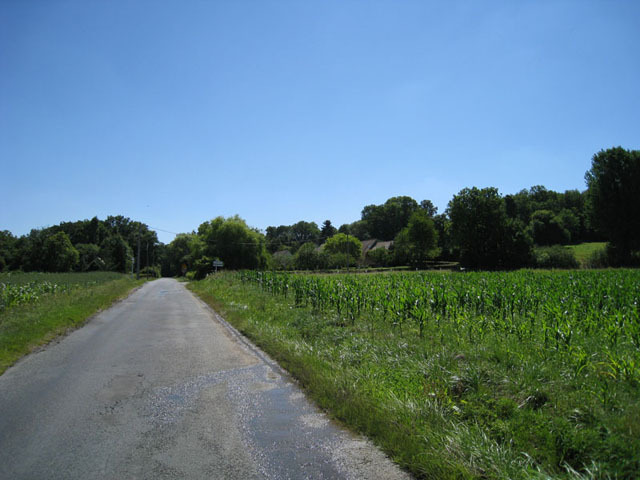 This hamlet is located half a mile away from the village center. 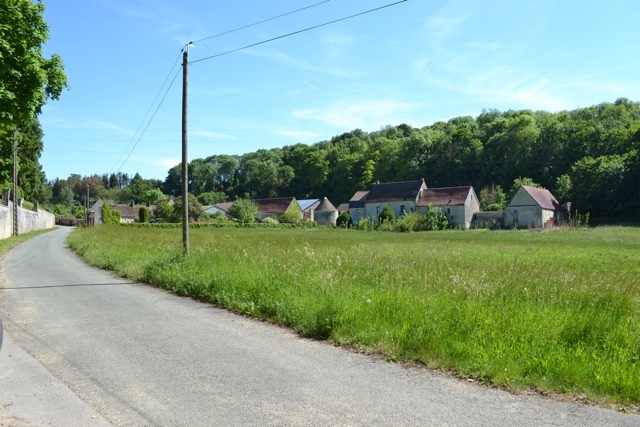 This hamlet is near the village center. 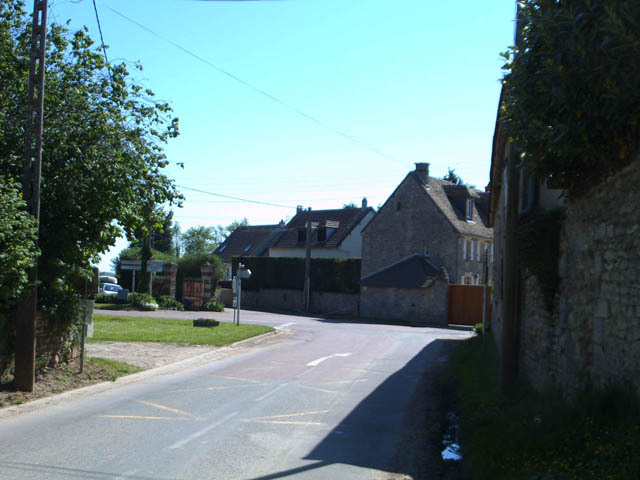 This hamlet is located to the north of the village center. 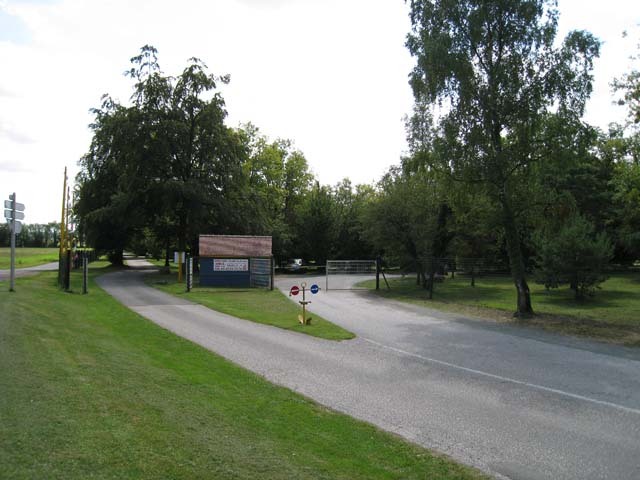 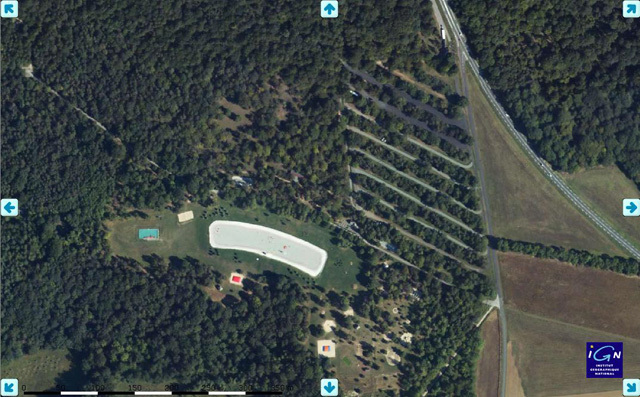 There is an amusement park called "Le parc d'hérouval". 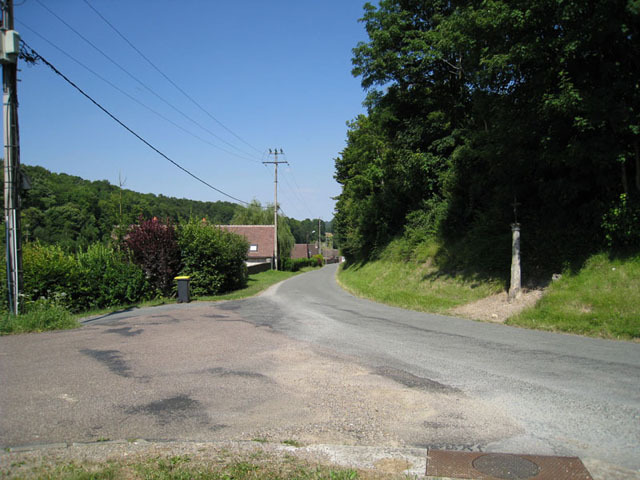 The "ru" (creek) of Hérouval flows through the hamlet. 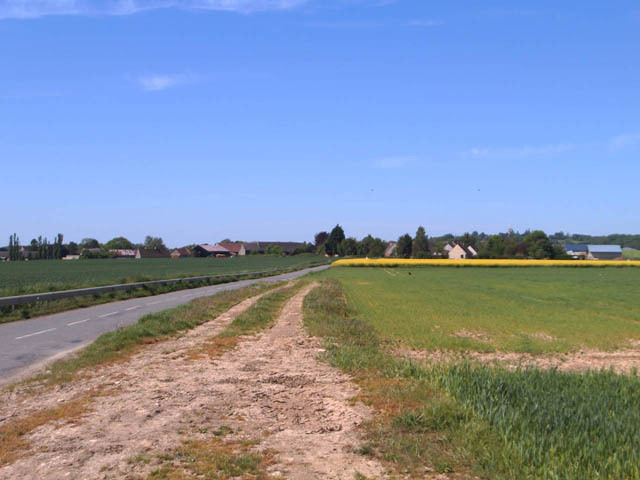 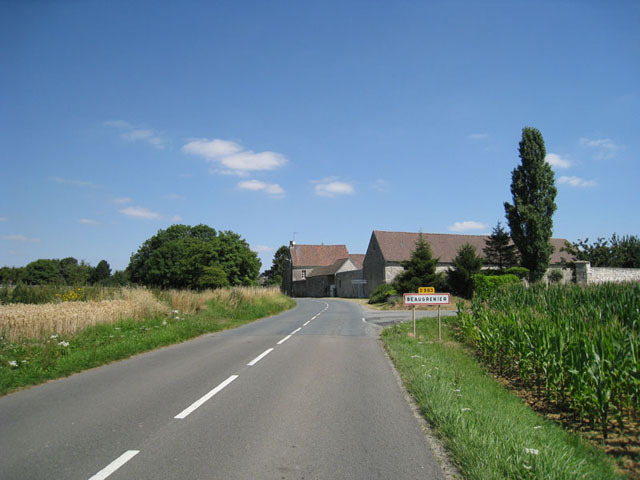 The hamlet of Valécourt is located to the south of Montjavoult. 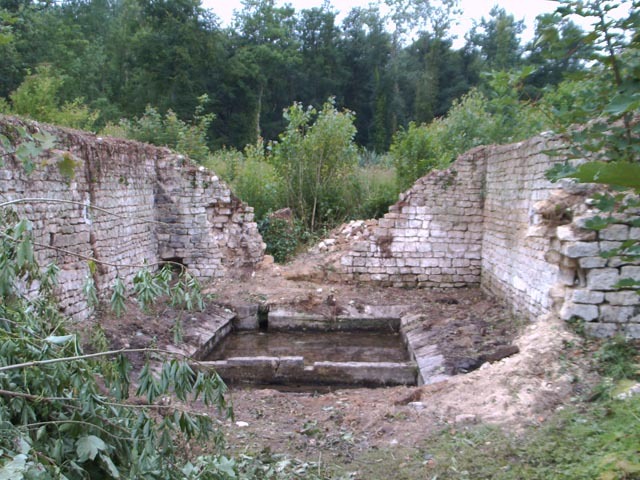 The "Cudron" also flows through the Hamlet. 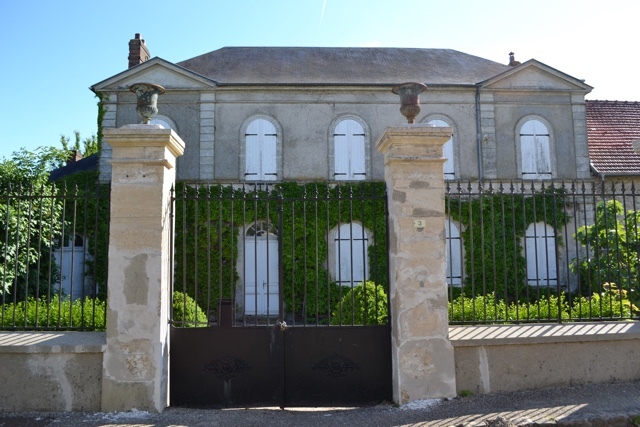 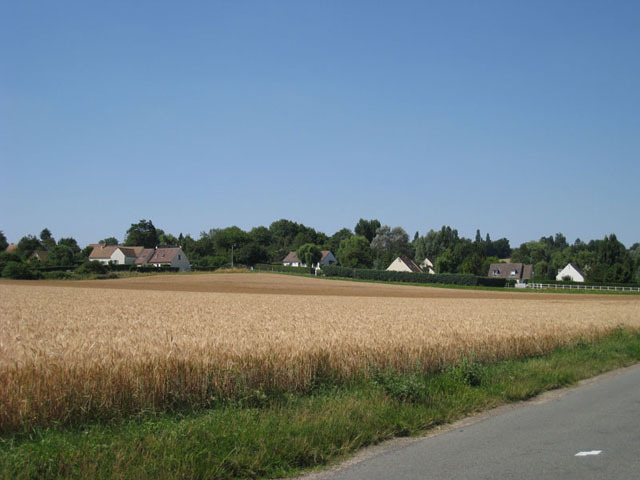 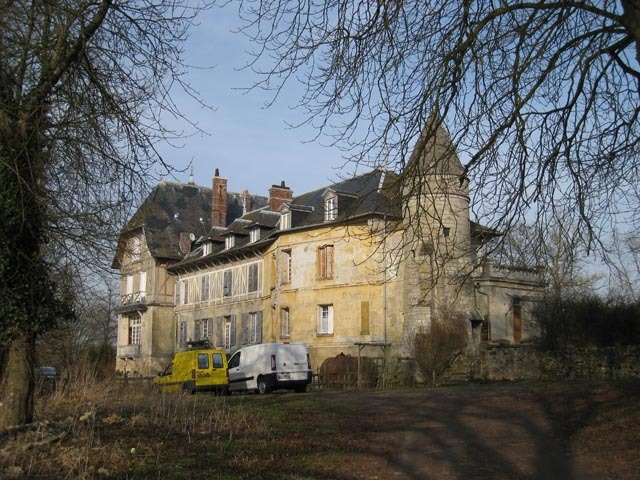 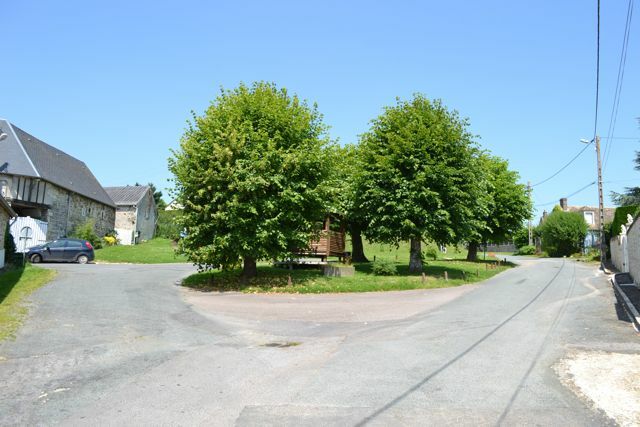 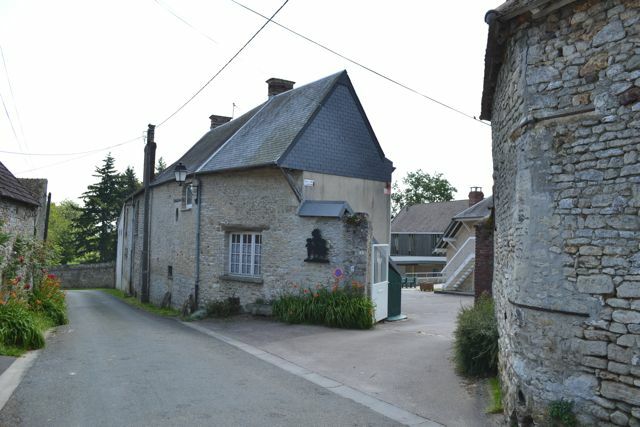 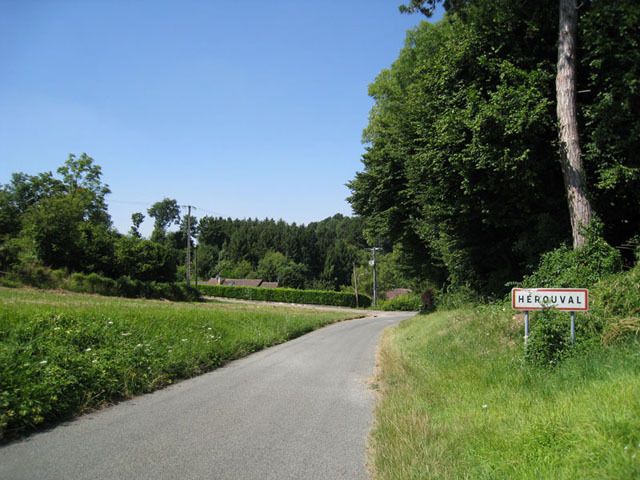 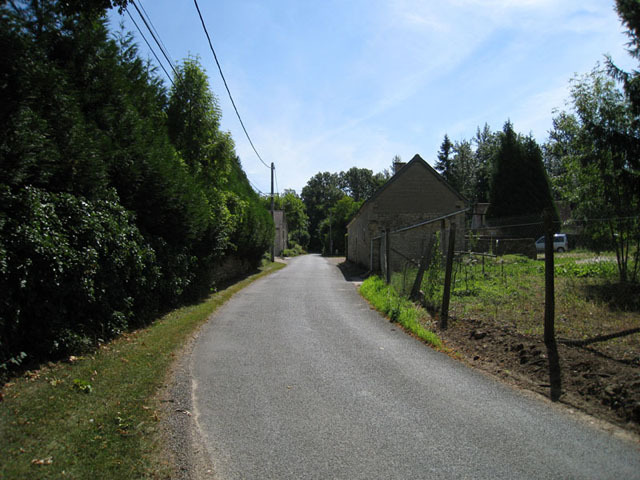 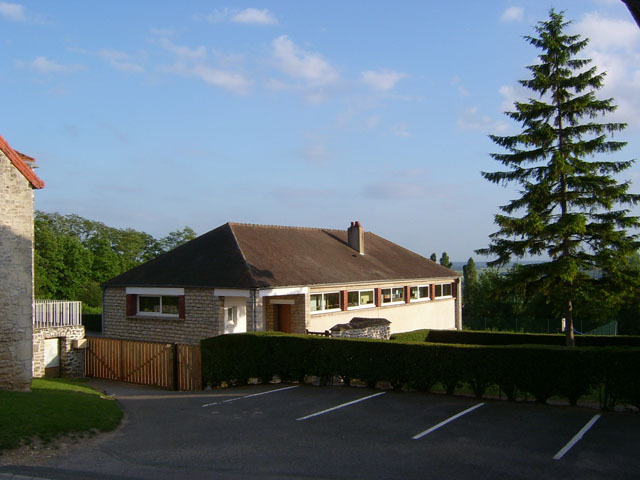 The smallest hamlet of Montjavoult is called "Bout du Bois", is the seat of a country mansion and is near a forest called "la forêt de la Molière". 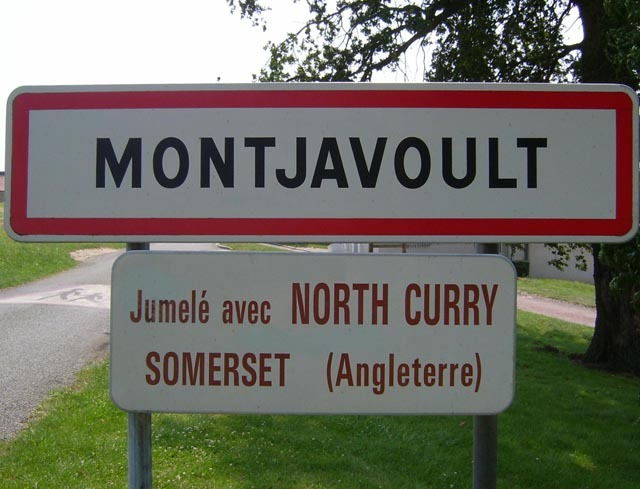 This village has been twinned with Montjavoult since 1992. 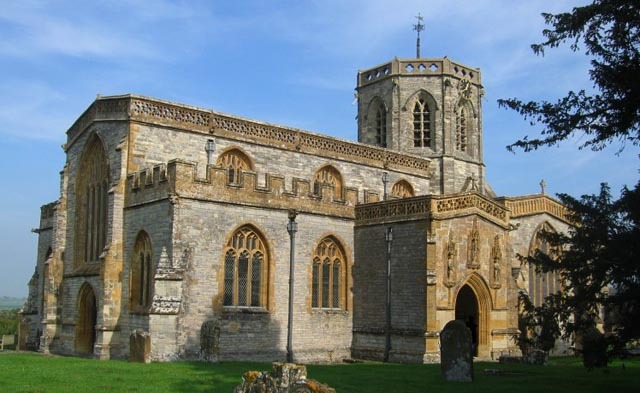 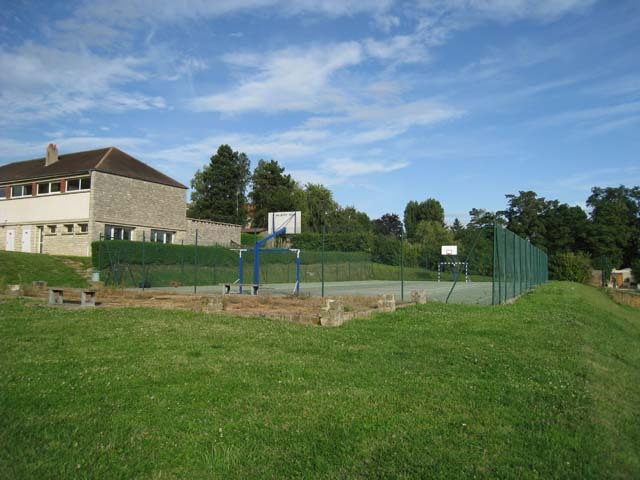 North Curry is a village and civil parish in Somerset, England, situated 5 miles (8.0 km) east of Taunton in the Taunton Deane district. 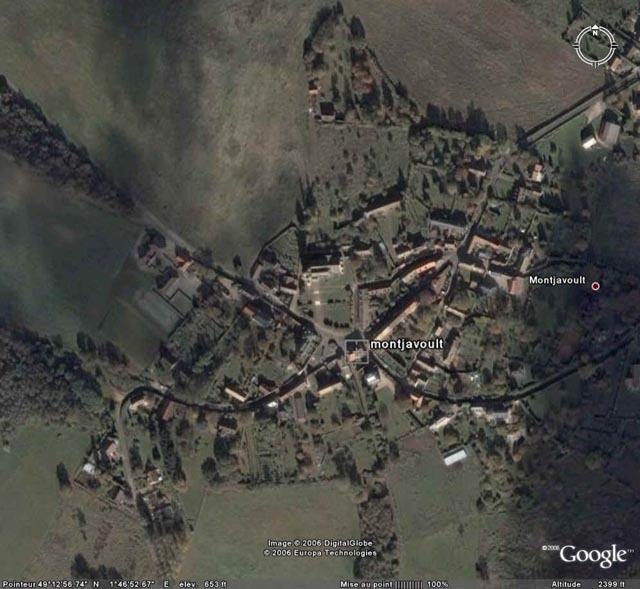 it has a population of 1,625. 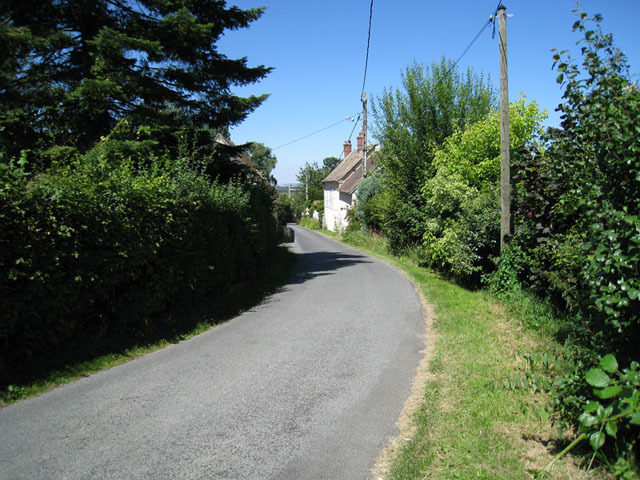 North Curry sits on a ridge of land, 7 metres (23 ft) above sea level.